I’ve had some really great feedback from visitors so do come along tomorrow if you’re thinking about it; between my eclectic mix and Richard’s imagination there’s something for everyone. Plenty of cake sales too and people enjoying the sun, views from the garden and wandering down to the lighthouse which we are raising money to maintain. 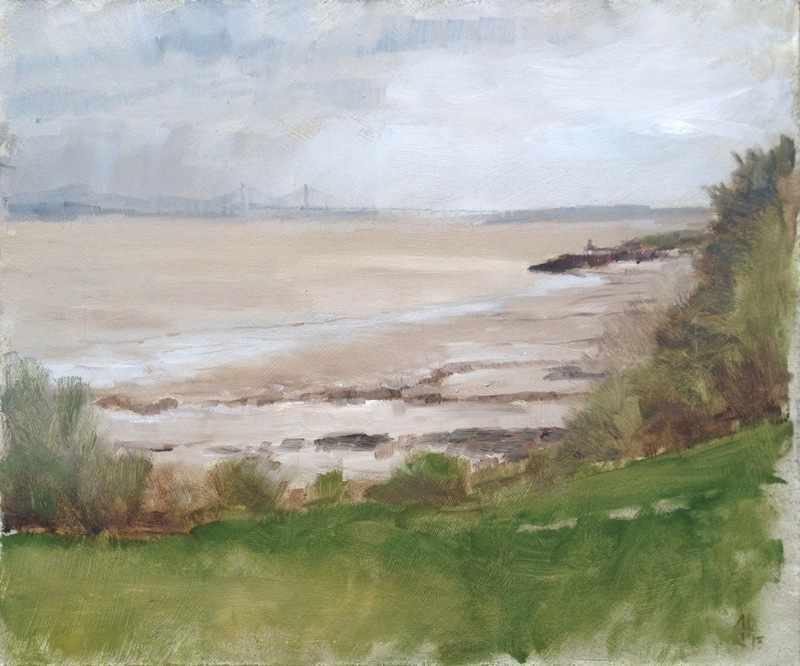 I got out before the start to paint this view from green 7 (I think) on the golf course before the sun came out. Here’s hoping for plenty more sun tomorrow, I enjoyed my mid-afternoon cider in the garden after having 11 in the house at once! Clarification! That’s 11 visitors not ciders. This entry was posted in exhibiting by ianpriceart. Bookmark the permalink.